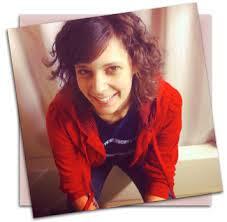 Today’s guest post comes from the lovely Dana Sitar of DIY Writing. Dana recently moved to Seattle, and so we met for coffee a few weeks back at my favorite neighborhood writing spot. Now she’s contributing to the first issue of The Write Life Magazine and guest posting here. I don’t remember how we connected in the first place, but I’m guessing it was on Twitter. Yet another example of how social media can indirectly help grow your audience and hopefully sell you a few more books! On to this great guest post… thanks Dana! 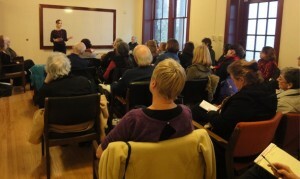 I launched A Writer’s Bucket List for sale through my website on February 5, 2013 and sold a few hundred copies. On March 25, I re-launched the book as a free download to new email subscribers. Since then, the list has grown each day at about the rate it was growing per week before. I was struck with that pure feeling of joy about people reading a book I wrote. No regrets about loss of potential sales revenue, or fear that readers won’t value the book — just pure, glowing happiness at every name of a new reader and every email and @mention thanking me for the book. It’s a bit cliche to say, but it reminded me why I want to write. How you value a book is far more important than how you price it. Pricing is a constant battle for indie authors, because we defy industry standards. We perform a constant balancing act between fear of lost sales over a high price and wondering if a low price de-values the book for readers. I faced both of those issues: first, a fear of pricing too high when I put the book up for sale at $9.95; then a worry that if I gave it away free, readers would believe that’s all it’s worth. But neither of those proves true; they’re just fears. The value of the book has already been proven by the people who were eager to buy it at the list price, by the reviews they’re leaving, by the experts who have backed it, and by the incredible response and growth of the community of DIY Writers who read my blog and engage on social media. With that social proof, I can give the book away free knowing that I know and readers know exactly how much it’s worth when they download it. How are you showing readers the value of your writing? 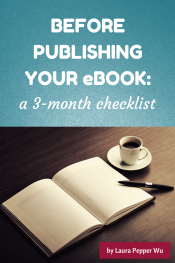 When someone buys your ebook, they’re probably getting more than 99 cents’ worth of story or information, right? You sell it for that price, because you want new readers to give it a chance, and a low price is a great way to make that happen. But, do you have the confidence to sell it for $9.95? 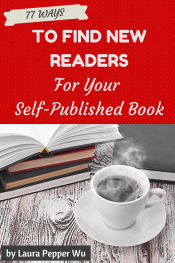 Do you have enough confidence in your book to ask readers for reviews, or experts for testimonials, or top bloggers for a chance to tout the book to their audience? If not, think about what needs to change to ensure you can be confident. You have to know the value of your book before you can portray it to readers. What do you gain when you give something away free? If you give away free what your readers would gladly and eagerly pay for, you’ll gain far more than the measly few dollars you might have gained from a book sale. You’ll gain their confidence, trust, and willingness to help you out. This week, I launch the Kindle edition of A Writer’s Bucket List. I’m writing this post a week before launch, and the book already has ten 4 or 5 star reviews on Amazon before I’ve made a single sale. Since March 25, I’ve gotten an email from a reader about every other day, telling me about their writing goals and what A Writer’s Bucket List means in their lives. Most new subscribers probably don’t even know that I used to sell the book for $9.95. But they understand they’re getting a hell of a deal when they download it for free, and they want to thank me for it. The tribe that’s gathered around the book gives me the confidence I need to ask readers to pay for the Kindle edition, and to trudge through the process of formatting for print, and to invite readers to join me as I take my business to the next step. 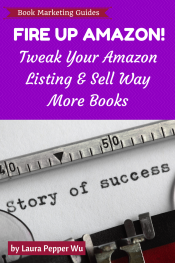 Few authors will make a living on book sales, but that doesn’t mean your book isn’t the most valuable tool you have as a writer. Even if you’re going to give it away free or sell it for a measly 99 cents, make your book something you’re proud to put in your readers’ hands. If you can do that, they’ll be proud to read it, and that’s good for more than that pure feeling of joy from writing. It’s what will allow you to make a living writing. Dana Sitar is a freelance blogger, author, and entrepreneur with a mission to guide you in the pursuit of happiness through writing. 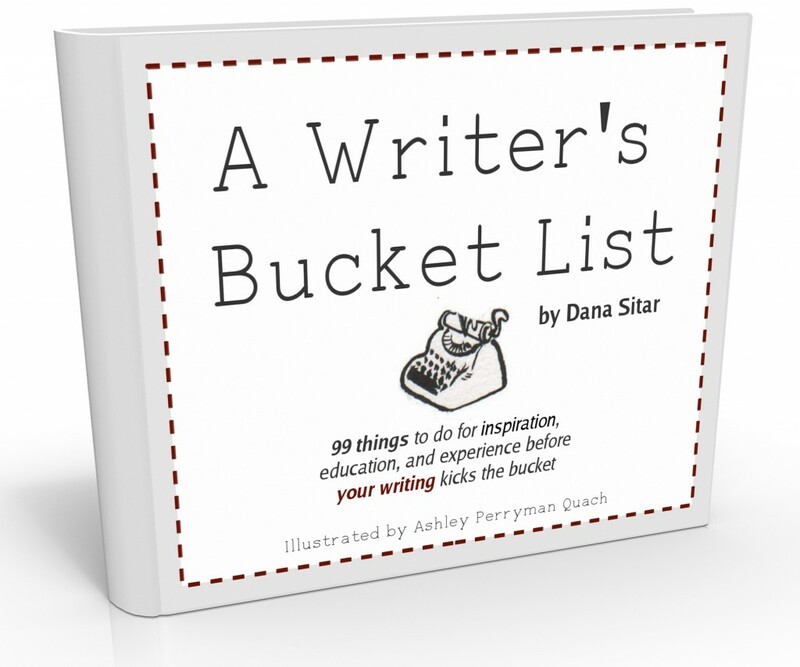 Her latest book, A Writer’s Bucket List is an inspirational and educational guide for budding writers. 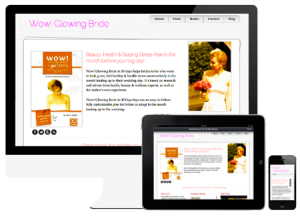 Buy the book for Kindle this week, and you’ll receive a bundle of 6 free ebooks from DIY Writing and other top bloggers. How’s that for value?